Beau was the first puppy born, Number One, and the biggest of the litter. She was also the best looking in terms of Pug characteristics. 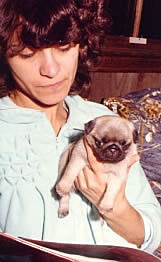 By January Anne and I had decided to keep all of the puppies except the one that my Mother and Father would take. Beau was our first choice; Chrisy was chosen by my Mother and Father leaving us with Tu Tu also. While Beau was the largest in the litter she wasn't the most aggressive of the puppies. That title went to Chrisy. Tu Tu was the most inquisitive. If anything Beau was the most lovable and cuddly of the puppies. Anne with Beau Beau loved to be held and cuddled closely constantly. Whenever we would sit and play with the puppies on the floor Beau would be the first to climb up into your lap. She enjoyed the company of everyone and always had a kiss for anyone that showed her the slightest bit of attention. She also loved to run and play with the other puppies, often she would be found gnawing on someone's leg or ear. Our household would adjust quickly to having three dogs and two cats. And Beau would love the cats equally as much. She was a puppy and they were kittens so they enjoyed playing with each other and, when not playing, they would often be found curled up together sleeping in some corner somewhere. It's amazing how well animals get along when they are taught to love ... kind of like people, right? 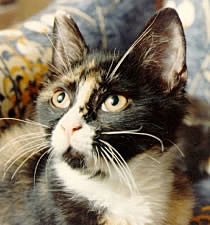 Midnight Midnight and Patches were found as kittens up a tree in a park in January 1982, just two months after the puppies were born. We rescued them and brought them home. Patches died a short time later, but Midnight was with us for quite some time. Midnight loved the puppies and was constantly around them no matter what they were doing. Missy and Beau made quite the pair, a typical Mother/Daughter duo. They were my constant companions no matter what I was doing and it was funny to watch them jockey for lap space. Yes, dogs in the Brett household are definitely lap dogs, and it's kind of difficult when you've got two dogs who want to occupy the same limited space. If one was in my lap the other was at my feet or in someone else's lap. 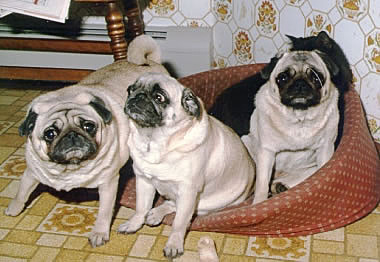 Pugs are very affectionate and are definitely not prone to becoming a one person dog. They have enough love to go around and they want to share their love with as many people as possible. Beau's sister, Chrisy, lived in Virginia with my Mother and Father, but she would come to visit often and stay for extended visits. They always enjoyed being together with each other and the house would become a hot bed of activity when Chrisy came to visit. She had a way of stirring everyone up. 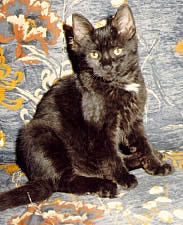 Beau lived until July 1992. 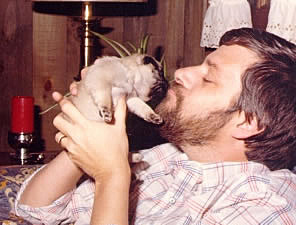 She died from a restricted airway, a problem that some Pugs suffer from because of their flattened muzzle. 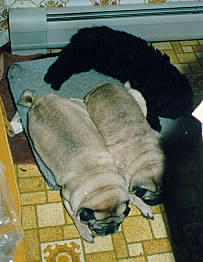 She was almost 11 when she died, the longest that we'd ever had a Pug. 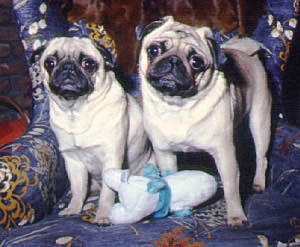 Sadly her sister, Chrisy, died within a month of Beau and they were buried together along with their Mother Missy and Puggy. 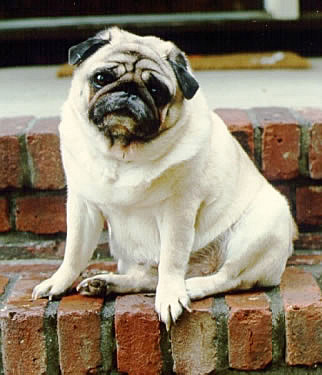 It's true that Pugs don't have long life spans that some larger dogs which is a disadvantage for those who get strongly attached to them. Losing one is devastating, but the joy they will bring to you during their short lives will leave lasting and wonderful memories forever.